China has termed the flexing of muscles by outside countries the “greatest threat to peace and stability” and the reason for tensions in the South China Sea. It promised never to relinquish the disputed territory, through which billions of dollars of trade pass annually. Tensions over sovereignty claims are rising ahead of the eagerly-anticipated United Nations arbitration court ruling on a maritime dispute between China and the Philippines which will take place in the coming weeks. Manila initiated the case in January 2013, arguing that Beijing’s claims over much of the South China Sea violated UN conventions. On Thursday, China said that it would not recognize the UN verdict on the issue, unless China’s claims are honored. The tension is being exacerbated even further by a continuously growing American presence in the region, whose many allies also lay claims to the islands. China has called the US involvement in the dispute the “greatest” threat to the region. “Certain countries outside the region frequently show its military strength in the South China Sea area and this is actually the greatest threat to peace and stability in the region. We urge them to stop stirring up a storm in a teapot and stop sowing seeds of discord so as to maintain peace and stability in the South China Sea, which conforms to the common interests of all parties,” Yang said. 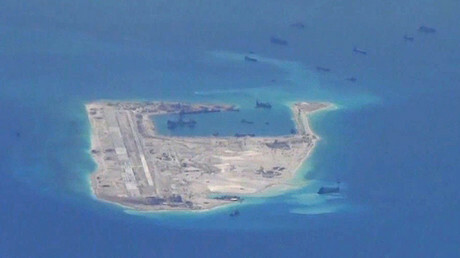 China has repeatedly claimed sovereignty over particular islands and reefs in the South China Sea and its adjacent waters, and has taken steps to protect it. At the same time Beijing always said that it is open in solving the disputes through direct negotiations between parties without outside help and interference. But the US is relentlessly trying to demonstrate force in the region by increasing its military strength and that of their allies. It has conducted several warship excursions into the disputed waters, and has flown numerous surveillance missions over the area. 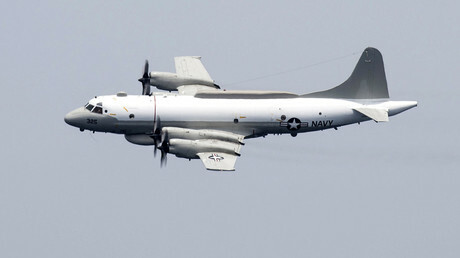 Earlier this month China’s J-11 Shenyang fighter planes intercepted a Navy EP-3 Orion spy plane, stirring yet another international scandal, with the US claiming the stunt was performed unprofessionally and at an “unsafe” distance. 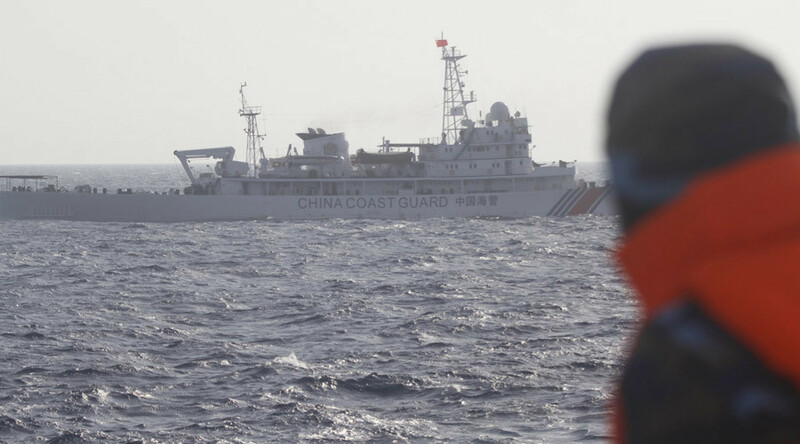 “In essence, the root cause for security hazards and potential accidents in the air and at sea between China and the US is the long term, large-scale and frequent close-in reconnaissance activities against China by the US military vessels and aircraft,” Yang added.